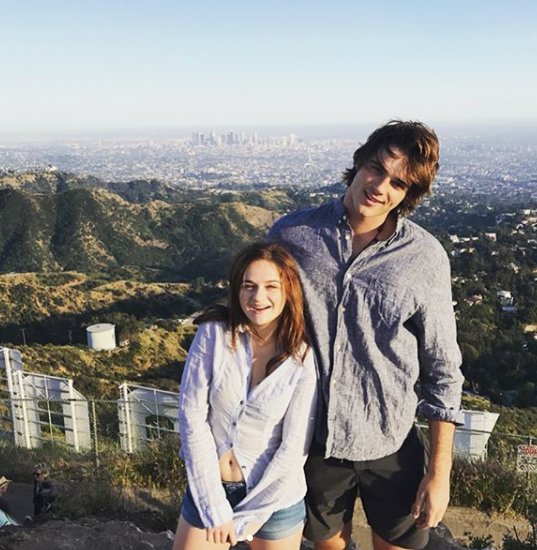 Elle and Noah are dating for real and it's the CUTEST. 1. 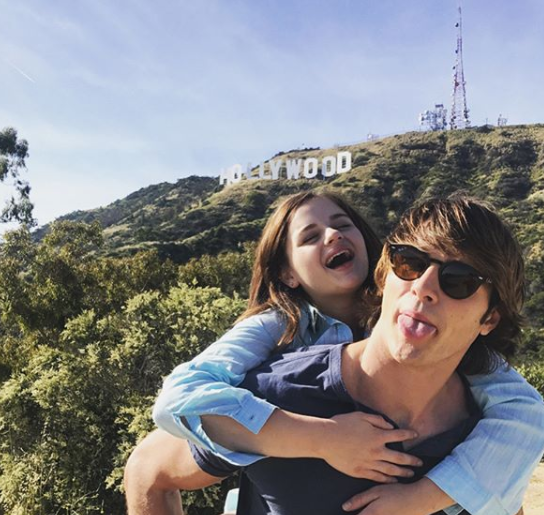 When Joey King (Elle) shared this pic with Joel Courtney (Lee) and Jacob Elordi (Noah – also her IRL boyfriend!) and said, "I love these boys so much". 2. And added that she's "so grateful for these two". 5. Here's one from her birthday. 6. When Jacob and Joey showed up to the premiere of The Kissing Booth looking this good together. 7. And shared a proper kiss for the cameras. 8. Meanwhile Joey and Joel goofed off together. 9. And the three stars had fun with Carson White, who plays Elle's little brother Brad. 10. When Joey shared this behind-the-scenes shot and said she loves "each and every one of these guys". 11. And shared THESE photos of her and Jacob having fun filming your fave scenes. 12. 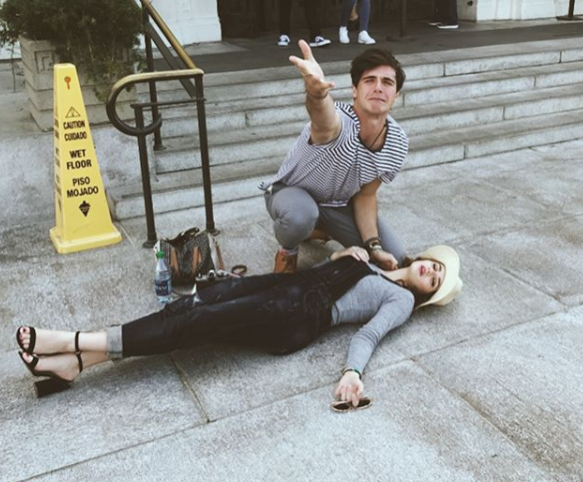 When Joey wished Joel a happy birthday with this pic, saying, "embarrassing you and loving you unconditionally has become my new life mission." 13. And Joel called Joey his "ride or die". 14. When Jacob lifted Joey in the middle of Disneyland. 16. ...and ice cream in Sydney. 17. When they chilled on the beach like this. 18. When Joey took a nap on Joel's shoulder. 19. And when they both cuddled up on the floor with Jacob between takes on set. 20. When Joel busted Jacob taking a cheeky nap. 21. Meanwhile Joshua Eady (Tuppen) had a rest on Joey's shoulder. 22. When Joey admitted she and Jacob "got pretty weird during night shoots". 23. When Joel shared this photo and said Jacob and Joey "mean so much" to him. 24. 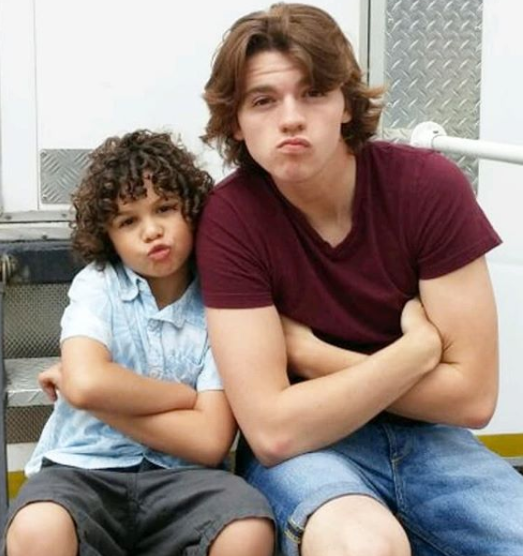 And when he posted this photo of Jacob and Joey, saying he'd had an "unbelievable" time with them on set. 25. 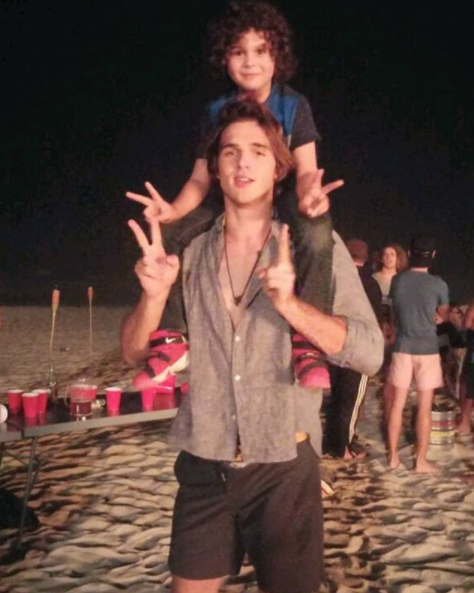 When Carson shared these cute pics hanging with the three stars on set. 26. As well as this one of them all hanging out together after filming. 27. When Jacob and Carson chilled on Noah's bike. 28. And the two of them had fun in a toy store together. 29. When Joey and Joel practiced their dance routine from the movie and got kind of silly. 30. When Joey shared this ~unique~ angle of her and Joel eating burgers. 31. And when she revealed Joel had injured himself on the first day of filming. 32. When Jacob played Harry Potter with Carson at Universal Studios. 33. And accidentally sent him flying through the air. 34. When the whole crew seemed to have a blast together. 36. ...and proved they were a real double act. 37. When Joey shared this video of the cast's epic game of Uno. 38. 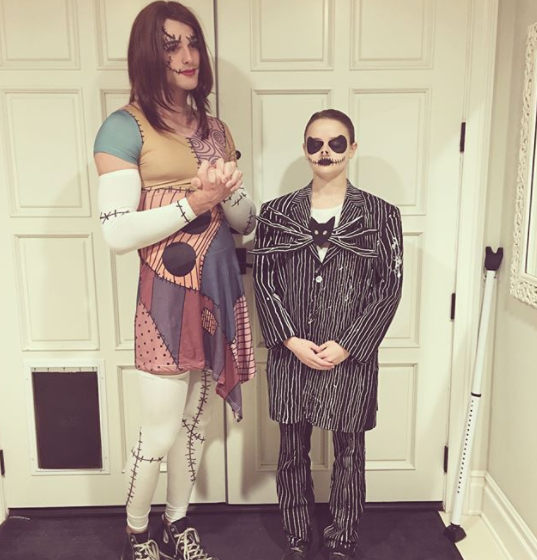 When Joey and Joel dressed up like this. 39. 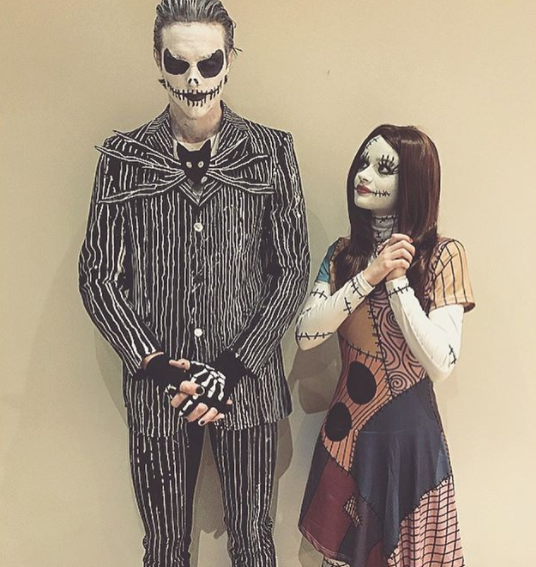 And Joey and Jacob dressed up like THIS. 40. And then Joey's best friend Ariana Guido showed up as their "third wheel". 41. When Jacob and Joey dressed up for Rocky Horror. 42. 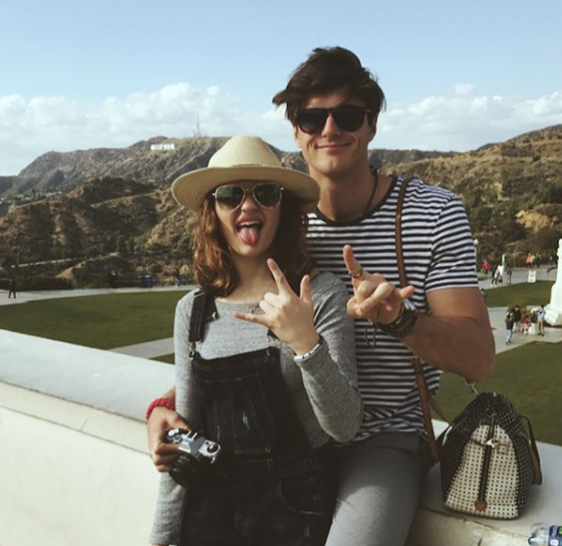 And when they went on a totally adorable roller skating date. 43. When Joey took this shot of Jacob from one of their private adventures. 44. And Jacob took THIS shot of Joey. 45. When the two of them had a picnic for Valentine's Day. 46. And looked like they were having a lot of fun. 47. When Jacob held Joey's hand at the dentist because she was so scared. 48. When Joey shared this photo and said Jacob is "not only my boyfriend but my hella dope best friend". 50. ...and also in Australia, with Jacob's family. 51. When Joey spent time with the Elordis exploring Australia. 52. And Jacob and Joey enjoyed some sun together. 53. When Joey got stuck zip-lining, and Joel totally roasted her. 54. And when Jacob taught Joey some Australian slang, and it was hilarious.